Yesterday, four Littleton students attended the Latinas LEAD Colorado Power Summit with Latinas all around Colorado. 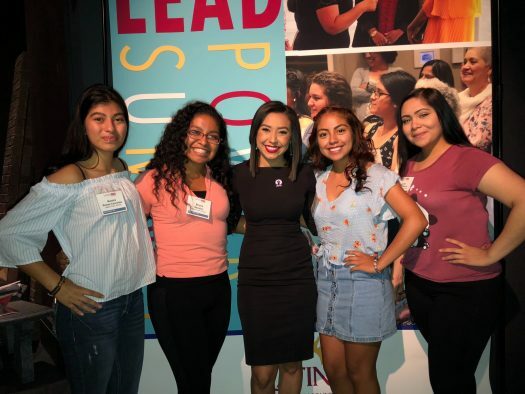 The summit was held to create an environment where Latinas could come together, share their stories and be inspired to challenge themselves to go out and make a change in their community. The summit started with a keynote speech from Sonia Gutierrez , 9News reporter. She delivered a speech in which she revealed her struggles as a Latina and how she was able to overcome obstacles. She talked about her struggles with being undocumented and how she pushed for change. She was able to advocate for herself and she lead a movement in the journalism world. One of her accomplishments was that she was the first Latina reporter in South Carolina. During her time there, she took it upon herself to deliver information to the Hispanic community about the floods because she realized that everything reported on the news was in English. About 40% of the population was Hispanic and unable to get the help they needed, but as Gutierrez began to broadcast the information in Spanish, more people started to rely on the news for lifesaving information. This earned her an Emmy nomination. “She really touched my heart and she was a young speaker who I could really relate to. She chased her dreams and that has inspired me to chase mine,” said senior Lesley Guzman. Soon after Sonia finished her speech, a panel of community influencers went up to the stage and began to share their stories. The moderator Gabriela Domenzain asked the other four ladies to share how they got to where they are and also words of wisdom for young Latinas. As they shared their stories, the audience felt impacted and shared some words of their own, thanking and congratulating the panel for their inspirational stories. Sitting on the chairs is moderator Gabriela Domenzain and community influencers Angela Tzul, Yesenia Arreola, Dolores Del Campo, and Silvia Hernandez. The next person that went up to the stage was documentary filmmaker Denise Soler Cox. She shared a trailer of her upcoming movie, “Project Enye” that is about Latinos talking about their life and how they feel disconnected with their culture and with America. “Neither here nor there” was a saying that stuck with the audience. She also shared her journey and how she got to wanting to make a documentary about the Latino struggle in America. As she told her story, she cried and the audience cried with her. She expressed her feelings because she knew that she would be able to create a bond with the people in the room. The next event that followed was “Stories of Impact” that included many organizations such as Colorado Circle for Change, LIPS ( Latinas Increasing Political Strength), Project Voyce, Latinitas in STEM and Hispanic Affairs Project. The Latino LEAD organizations shared how they have made an impact in others Latinos’ lives with speeches, poems, dances, and videos. 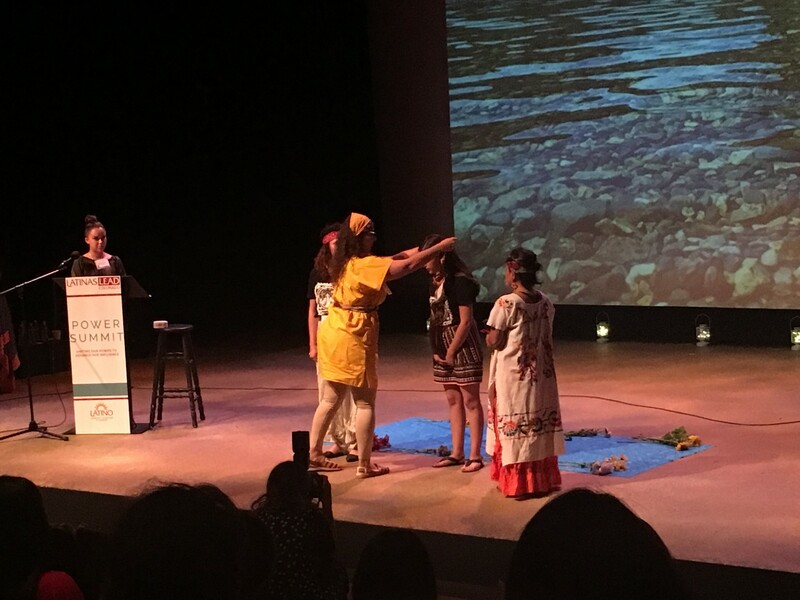 Again, there was not a dry eye in the audience as many felt connected with how the organizations expressed their courage and leadership. Circles for Change demonstrating a Ritual they do at their program. Next year, they hope to host their event for the third year in a row around the same time. 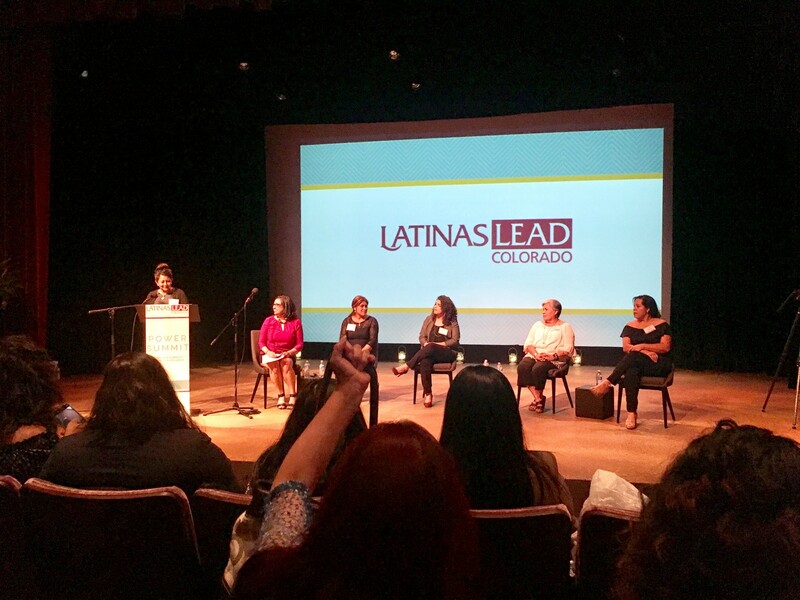 There will be different speakers and more stories to be heard from Latinas around Colorado.